While our craftspeople are highly skilled in shaping natural materials, they’re equally adept at using light. 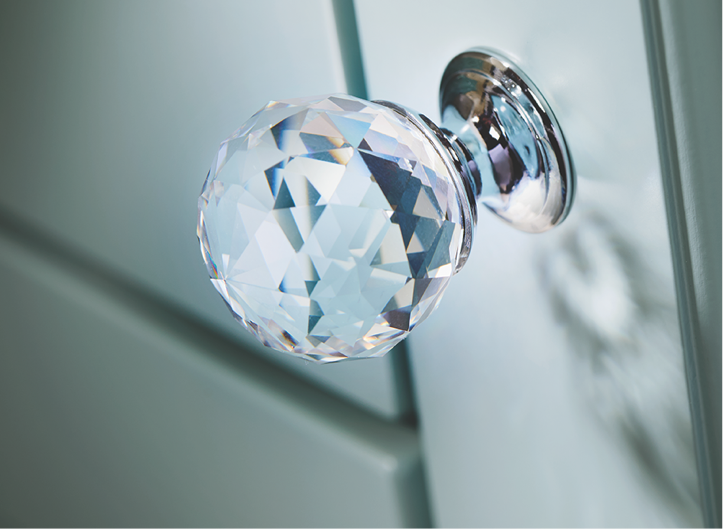 By creating highly glossed surfaces our bespoke bathroom furniture is able to reflect natural daylight to greatly enhance the overall brightness of your bathroom, while also creating the illusion of additional space. All furniture is painted and polished by hand in the UK. Oh La La indeed! Striking Grey furniture in a high gloss finish contrasts beautifully against the stunning Corian Designer White worktop featuring a fully integrated, semi-countertop basin. With push to open doors and drawers, the units are both contemporary and chic in style. Stunning looks and a sophisticated colour palette of rich neutral tones feature in this bathroom. 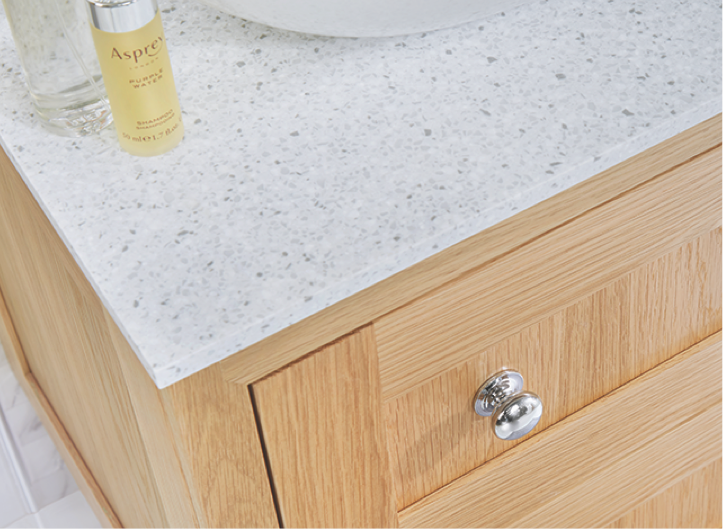 Extra deep drawer units maximise on storage space, with further storage gained in the tall wall unit and mirror cabinets, enabling essential toiletries and towels to be neatly stored away. 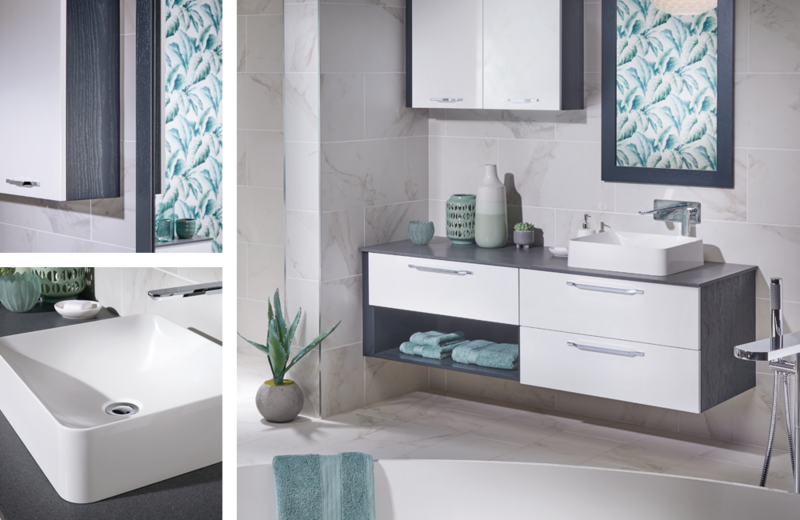 Gloss white bathrooms can look stunning, but can all too often feel somewhat cold and even sterile. By choosing a carcass in rich Midnight woodgrain not only provides a contrast to the White Gloss drawer and door fronts, but adds texture to soften the overall scheme. Looking for a totally unique bathroom? Consider Concrete, designed to emulate the fabulous looks of polished concrete, hand finished to a satin lustre. Team Concrete with on-trend hot yellow and start each day with a burst of sunshine.